wdnicolson.com - An NRL Blog: #RLWC2013 Analysis: Australia v New Zealand Cup Final - Do we lock it in Eddie? 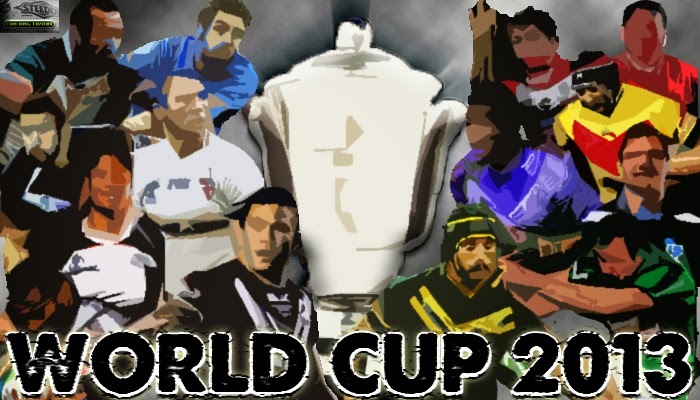 #RLWC2013 Analysis: Australia v New Zealand Cup Final - Do we lock it in Eddie? Australia will improve but New Zealand get the perfect preparation to go back to back. England are done. Straight up - I don't want to type the next few sentences... but based on what we saw in the opening round of World Cup matches (with the USA v Cook Islands to go) - it'll be Australia v New Zealand in the World Cup Final in a few weeks. Of course that's what we all expected coming into the tournament but the Kangaroos and Kiwis brushed aside their biggest challengers with differing methods in the openers. Australia were well and truly outplayed for the opening 25 minutes against England to trail 10-0... then were ahead by halftime by 8 points. When Brett Morris scored a Kleenex tissue softness calibre try right after the break - the English were toast. Yes England came back and made the score respectable by fulltime but anyone who watched the 28-20 result could plainly see that Australia lifted when they had to, were in control the entire second half and have a vast amount of improvement left in them. The Kangaroos are one incredibly talented and mentally tough footy team (years of Origin dominance by QLD is actually somewhat of a bonus when the core of the Australian side is mainly Maroon) with so many of their stars in the prime of their careers. England on the other hand threw their best few punches early and still got well beaten in the end. Plus their discipline in the second half with Australia somewhat within reach cost them any chance of giving the Aussies a late flurry of punches. They don't have the attacking talent in the halves it appears and that's a killer kids. So scratch out England from being able to beat Australia... but can they beat the Kiwis? It seems unlikely but stranger things have happened... didn't everyone think the same thing about the Kiwis in 2008 against Australia in the Final? Now New Zealand cruised to a huge 36-4 lead over Samoa (expected to be their biggest challengers in Group B) before the Samoans came back with a flurry to finish up 42-24 losers. But the game was over early and the Kiwis are going to benefit hugely from their build-up to the Final - including a likely matchup with the English. So New Zealand dusted Samoa and now play France and PNG in their remaining Group B games, then likely face Italy or Scotland (Tonga look out after losing to the Scots this morning) in the Quarter Finals before probably getting England in the Semi Finals. They should win through to the Semi Finals easily enough but they are all games where for a period their opposition could test them - which is great for building up your game for the English in the Semi. England will throw everything they have at the Kiwis but if the Lions fall short, odds are they'll have given the Kiwis a great tune-up for the Final against Australia. It should set up a fantastic Final - and looking at the respective build-ups for the top teams - New Zealand will be full of confidence they can beat Australia in their only meeting of the World Cup... while Australia may not be tested for the rest of the tournament like England did for 25 minutes (until the Final). That all said, we're not wishing the World Cup Final would be here tomorrow but based on what we've seen thus far - England or anyone else has an incredible amount of improvement needed to worry the Cup-holders New Zealand or the Cup-favourites Australia at the pointy end of the competition. Do you think New Zealand's lead-up to the World Cup Final is an advantage? And one more thing: There has to be some sort of contract issue that is delaying the release of Match Highlights from the official website til almost a day after each game, while it must cost more to show a replay of any game on 7Mate here in Australia - as they have only shown one game with a replay - Australia v England in the opener. Meaning there's no way you can catch a decent recap of any game for at least 24 hours... which seems counter-productive to promoting the tournament. Just quickly - congratulations to James Maloney for winning the #NRLTweetPlayerofFinals Award and the Grand Final Man of the Match on Sunday after his Roosters defeated Manly 26-18 in The Decider. 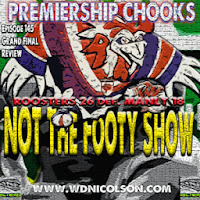 You can hear the full voting results on Episode 145 of NOT The Footy Show - the Grand Final Review Podcast. We might be back for a few shows during the World Cup - but then again... we might not.